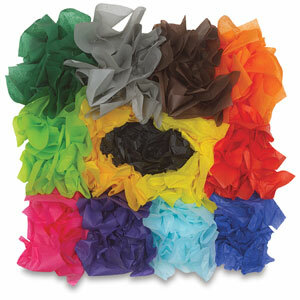 Use these brilliant colors for collage and decorating over chicken wire forms for parade floats. Brush paste over the wire and insert pomps. A 300-sheet package covers 4 square feet of 1" mesh wire (one tissue every other hole). Pomps are 5-1/2" square. ® Pacon is a registered trademark.® Decopuffs is a registered trademark.